Profitability of PSBs has been under pressure because of higher provisioning costs after the RBI tightened norms for recognition of stressed assets and their resolution. 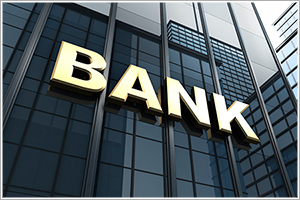 Public sector banks (PSBs) will need fresh Tier I capital of Rs1.2 lakh cr in the next 5 months through March 2019, or Rs21,000cr more than what was envisaged under the Rs2.11 lakh cr recapitalisation announced by the government in October 2017, to meet Basel III capital norms. In the past 18 months, only Rs1.12 lakh cr has been infused, which, as per the original recapitalisation plan, left a requirement of Rs99,000cr by March 2019. Most of the money is needed for the 11 PSBs put under the Prompt Corrective Action (PCA) framework of the Reserve Bank of India (RBI). But given their weak performance and low valuations, PSBs banks have little ability to tap the market, which means the government will have to provide most of the requirement. Profitability of PSBs has been under pressure because of higher provisioning costs after the RBI tightened norms for recognition of stressed assets and their resolution. As a result, most PSBs have reported huge losses in recent times and a number of them will be in the red in this fiscal, too (though to a lesser extent), which will further weaken their capital position.